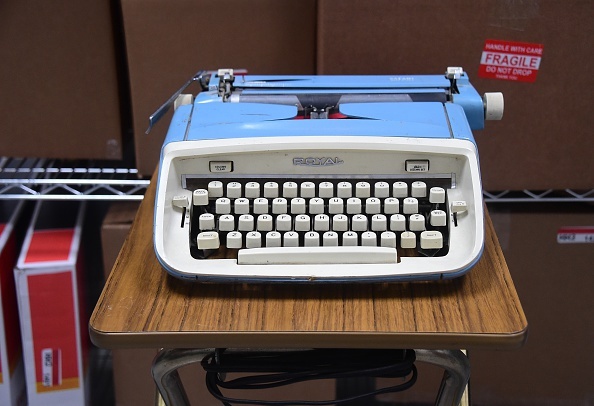 The pale blue Royal Safari semi-portable typewriter once used by Elisabeth Moss, as Margaret "Peggy" Olson, in the AMC TV series Mad Men, will be auctioned off next Wednesday, a week after "Peggy's" 77th birthday. Online auction house ScreenBid.com, of Culver City, California, is offering the typewriter (Lot MMii-626) as part of the sale of set items from the series on behalf of producer Lionsgate Television. 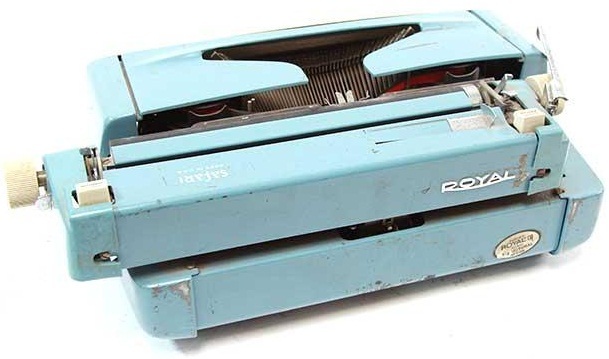 The Royal typewriter was seen in "Peggy's" old apartment early in the series. 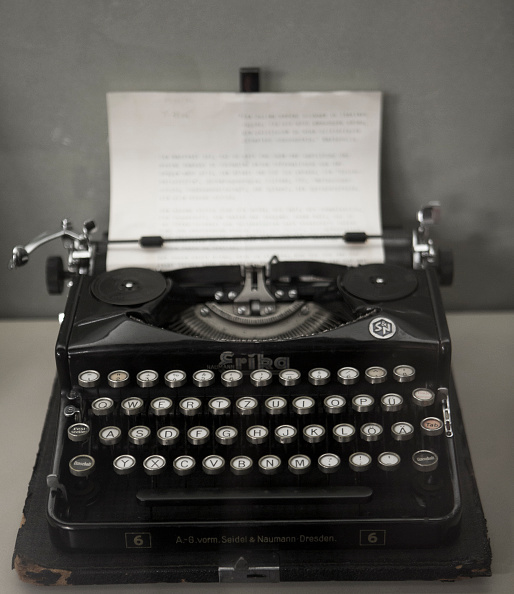 In Bonn in Germany, the Erika 6 portable typewriter which belonged to Andreas Baader (1943-1977), leader of the left-wing militant organisation the Red Army Faction (Baader-Meinhof Group), is back on display at the Museum of Contemporary History. Typewriter lovers, strap yourselves in - as promised in my previous post, here is a truly weird tale of typewriter spookiness. 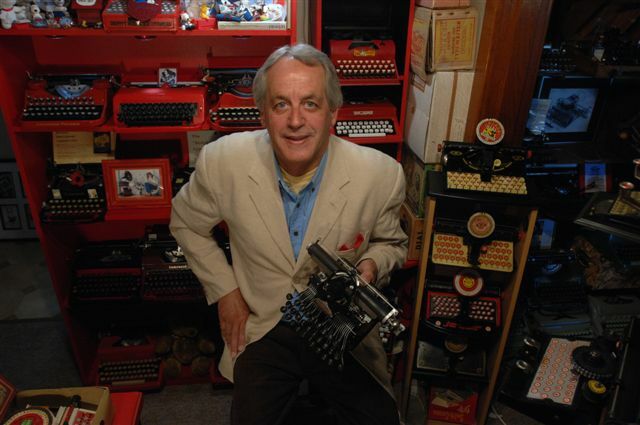 Terry Cooksley in his Antique Typewriter Service workshop in Blackett. At the meeting of the Typewriter Appreciation Exchange (it's still a working title) in Sydney on Tuesday, I made certain to whet the appetite of attendees for the next issue of ETCetera, which will introduce fresh features, such as Bryan Kravitz's "Repair Bench". 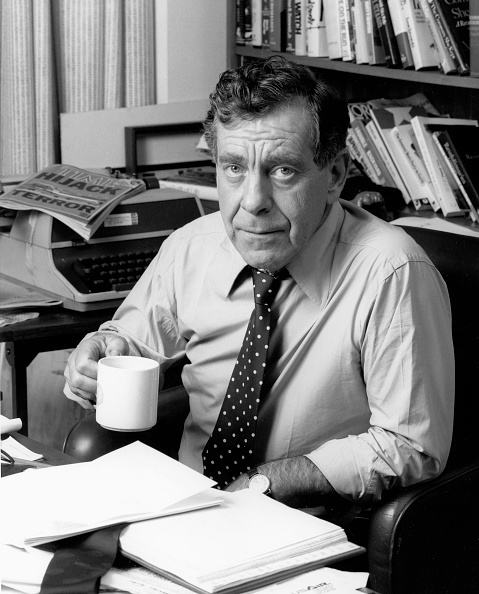 Terry Cooksley said he was already planning to submit to editor Richard Polt something along these lines, so maybe he will become a future contributor to this new regular column. I also mentioned Herman Price's fascinating article titled "Serial Number Fun", based on some of the machines in his massive West Virginia collection of 800 typewriters. on the pre-Good Companion Imperial portable. 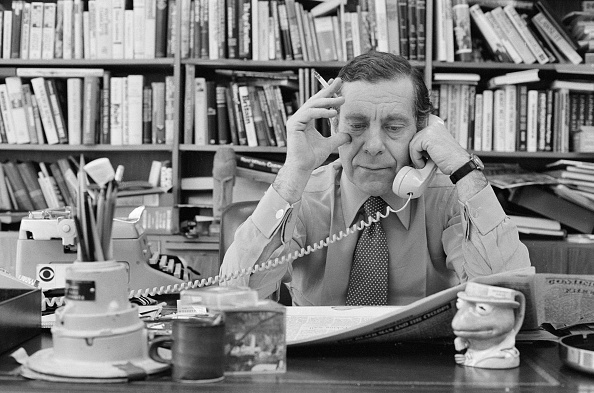 Colyton typewriter technician Phil Card had arrived at the meeting with a pre-Good Companion Imperial portable which belongs to meeting host Richard Amery, who has the most extensive collection of Imperial typewriters to be found anywhere. Phil had been working on this machine for some time and turned up with a docket book and proceeded to explain to Richard and other members of the exchange what he had done to bring the portable back to full working order. 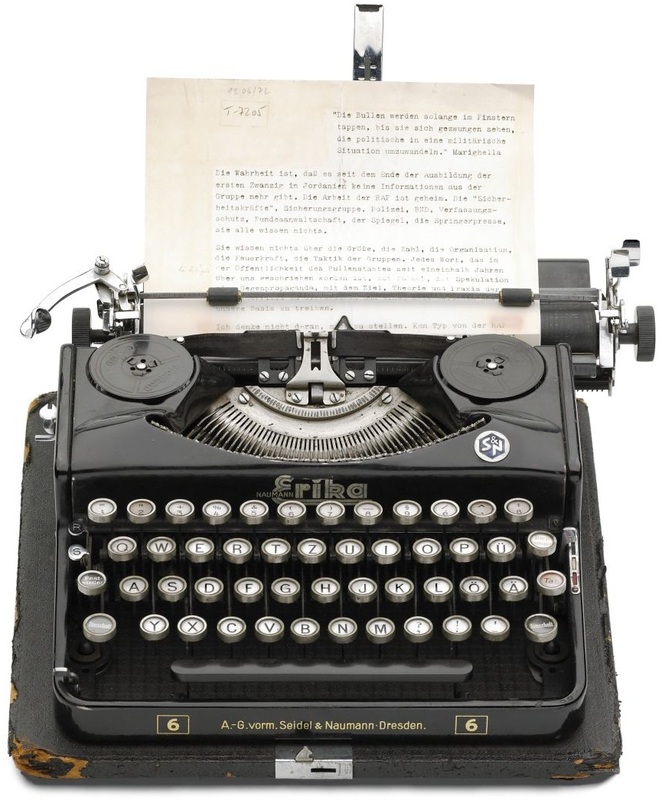 It was an Imperial originally sold by Glenn Dobell's Imperial Typewriter Sales Company at 22 Martin Place, Sydney, and made in Leicester in 1931, a year before the advent of the Good Companion. This Imperial was put back into Richard's office and he returned with one of his pride-and-joy machines, a beautiful Regent he acquired many years ago. We were talking about the Torpedo influence on the design of these models, and the similarity between them and some aspects of the early Torpedos, such as the carriage lever arrangement. I have, of course, seen evidence of a Regent which was assembled in Leicester from parts made by Weilwerke (Torpedo) in Frankfurt. Richard's Regent was so obviously Torpedo-like I looked at the back of it to check that it, too, was made by Imperial in Leicester. 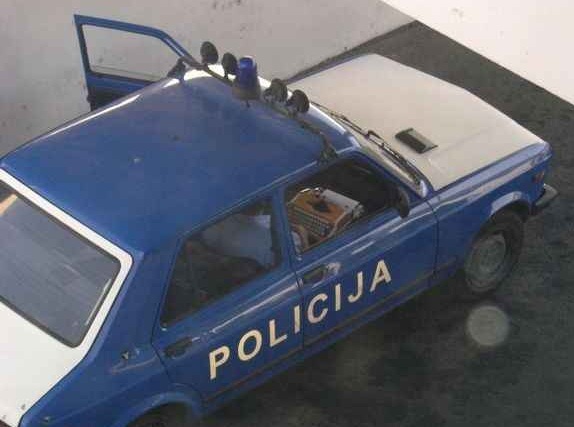 At this point I had a close look at the serial number - and something clicked. I asked Phil Card to give me another look at the relevant page in his docket book. Sure enough, the serial number on Richard's pre-Good Companion Imperial and on his Regent were just TWO NUMBERS APART!!! Different names, but they were two of a set of triplets - made on the same day in Leicester. Below, the STAXy group in Sydney on Tuesday. Standing, from left, Phil Card, Philip Chapman, moi; seated, Terry Cooksley and Richard Amery. *"Stacks on the Mill" is a common phrase in Australia. It has its origins in an old English schoolyard game. Everyone just piles in. And that's precisely what this Sydney typewriter "collective" does. 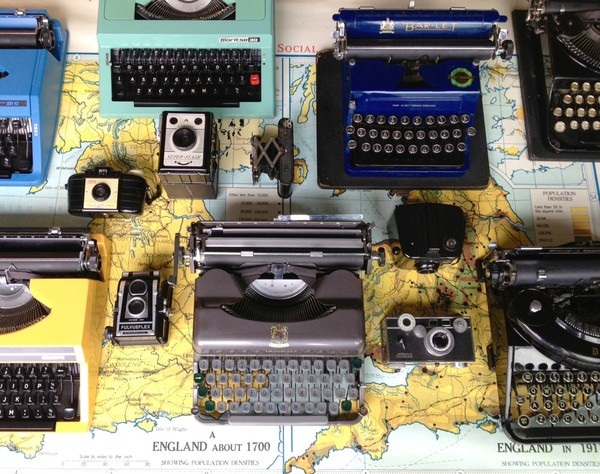 Typewriters fixed, just like that! The founder members settle down for a "board" meeting. From left, Phil Card, Terry Cooksley, Philip Chapman and "chairman" Richard Amery. 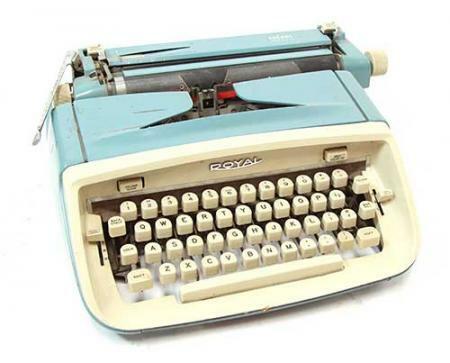 A lot of typewriters are exchanged in one way or another at these meetings - repaired machines returned and the work carried out explained, others collected for repair work, along with suggestions of problem solving, "new" models demonstrated and offered for sale, "old" models proudly shown off. 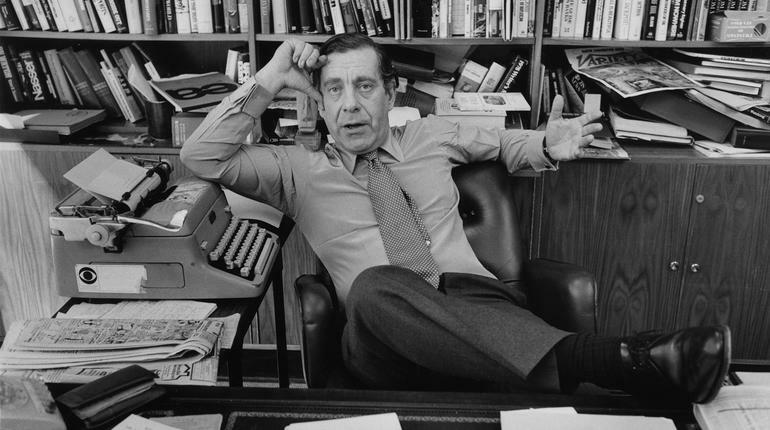 And in round table discussions, there is a deep sense of appreciation for every one of the typewriters that makes an appearance. "Whoever invented Magic Margins should be taken outside and shot!" 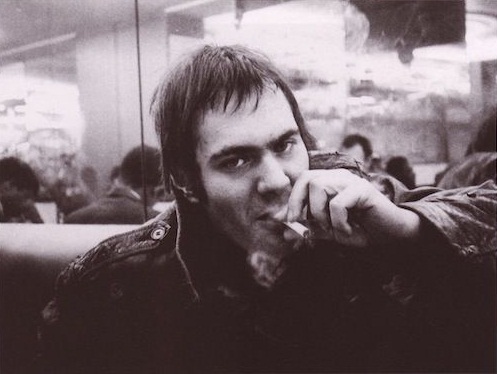 Richard Amery. 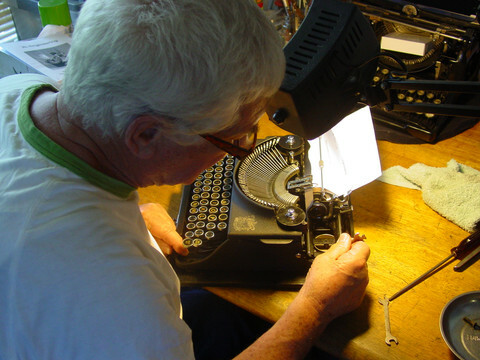 On top of all this, there is a great deal of exchange of the latest typewriter information, tales of typewriter repair days and happy yarns about typewriter use. 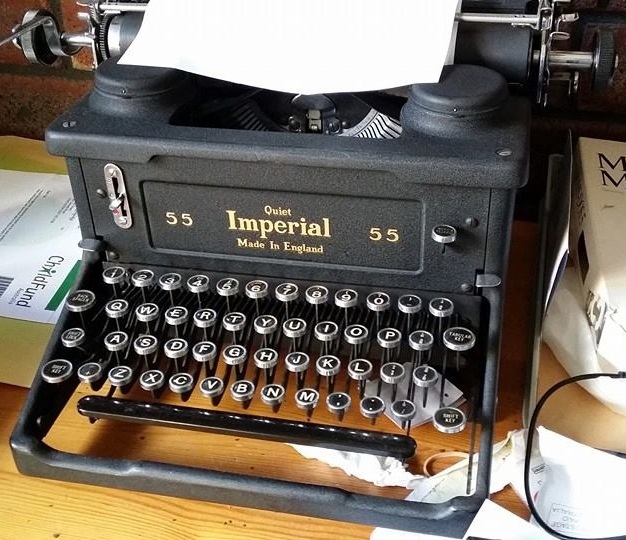 One spy out in the field texted in images of that day's latest astonishing listing, for an Imperial 55 standard typewriter in Melbourne for a staggering $1000! Yesterday the genial mine host was typewriter collector Richard Amery and the event was held at his home in Rooty Hill. These gatherings have been going on for many months now, much to my considerable envy. Yesterday, for the first time, I was able to attend, and what a fabulous day it was. I'd love nothing more than to be able to attend each week, but it's a six-hour round trip for me from Canberra, and although I managed it on half a tank of petrol yesterday, it's a little too tiring to attempt on a weekly basis. Such a shame. Phil Card explains to Richard Amery the work he has done on Richard's pre-Good Companion Imperial portable. 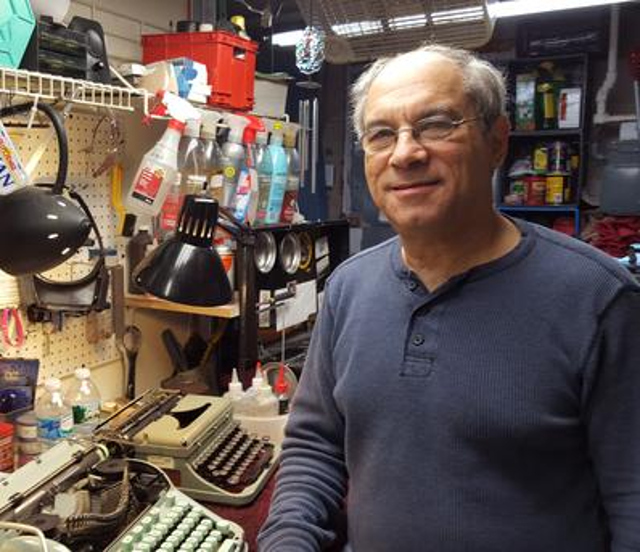 I was especially pleased to meet, for the first time, typewriter repairman Phil Card, from Colyton. 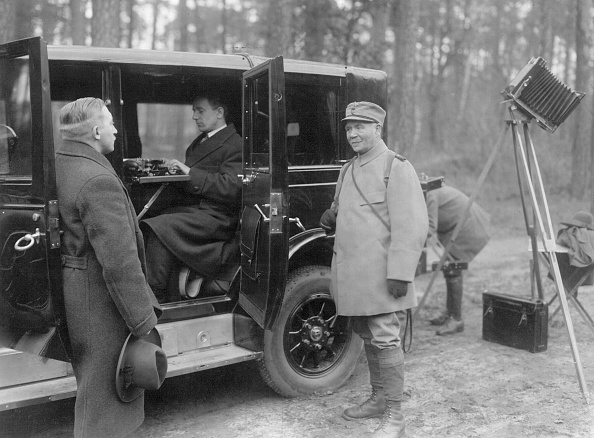 Phil arrived with an early (pre-Good Companion) Imperial portable he had worked on for Richard, and explained in great deal his methods in a range of tasks, including getting spools to fit properly and fixing keytops and the alignment. This led to the chance discovery by me of an incredible coincidence, one which I will post about tomorrow. My reason for making the effort to attend yesterday was because one of the four "founder members", Philip Chapman, of Charlie Foxtrot fame, had just returned back in the Southern Highlands from a hugely successful three-week typewriter hunting trip to England, where he and his wife Julie seem to have scored as much as a container load of machines to offer for sale here. So there was to be a full quorum, although another "new" member, typewriter repairman Warren Ingrey, now back in Sydney, was unable to get there. My "Portables, Etc" column in the next edition of ETCetera reveals the fascinating and multi-talented man behind the design of the "All New Remington Personal Portable", launched in August 1949. 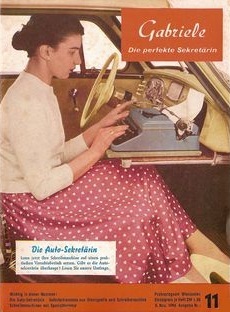 He also designed the revolutionary keytops which appear on the model seen above. The model is on the lap of the squinting secretary of millionaire constructor Hal Hays. 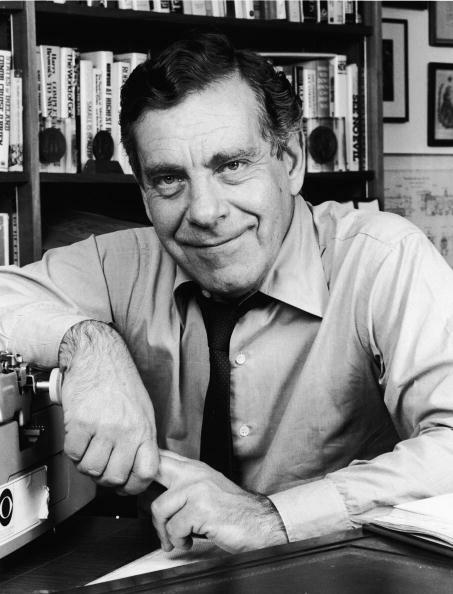 Hays is most famous these days for his affair with actress Zsa Zsa Gabor, who Hays made a senior vice-president and a voting board member of his company. He also gave her a massive platinum, 25-carat diamond engagement ring, costing $250,000. 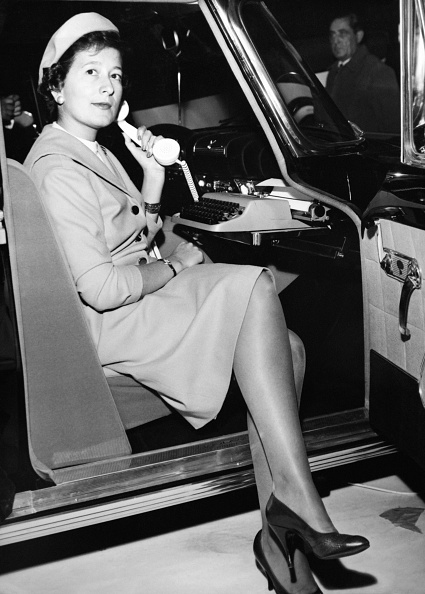 Zsa Zsa caused a scandal when she turned up at a Beverly Hills party for Henry Ford II given by Hays' former fiancée, Merle Oberon, who falsely claimed to be Tasmanian-born. An Acehnese police officer uses an Olympia SM 18 portable typewriter to record a complaint at the back of her police car in Lhoknga, Banda Aceh, Indonesia, in February 2005. 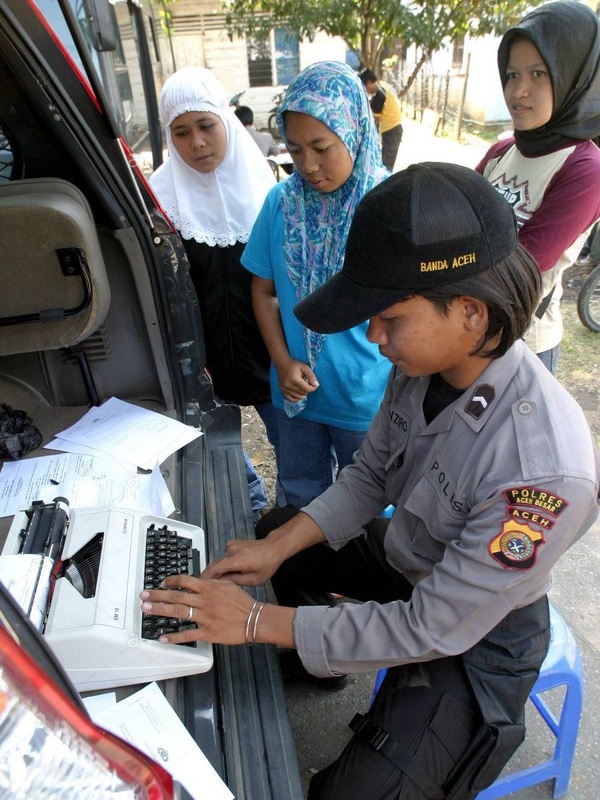 Most of the police stations in Lhoknga were destroyed by the tsunami on Boxing Day 2004. 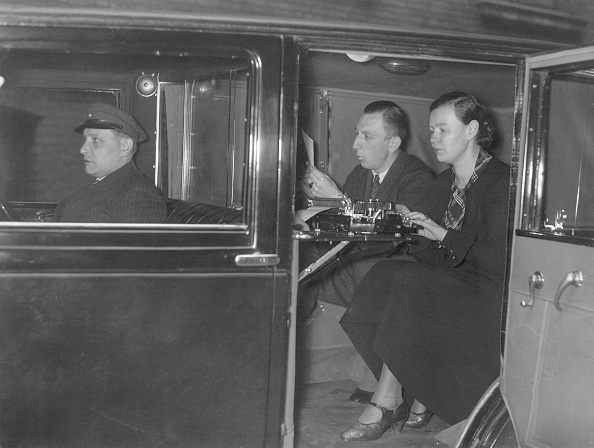 Above, Berlin Police Director Dr Werner Togotzes on the way to the scene 0f a crime in 1938. 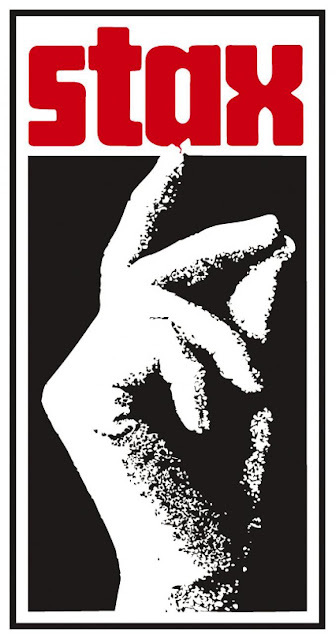 Below, more German police work. 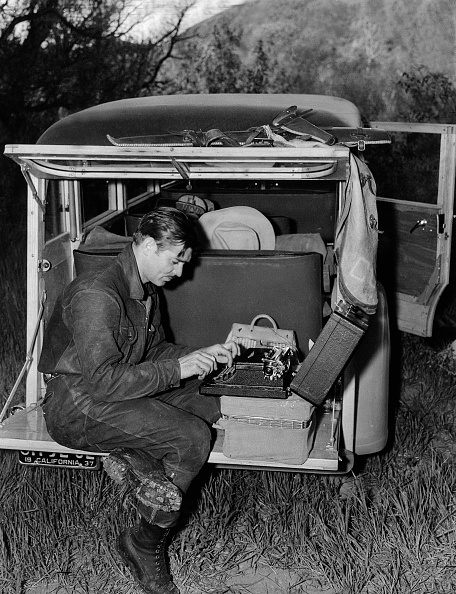 Corona 4 portable typewriter used in a "mobile working station", Los Angeles, 1930. 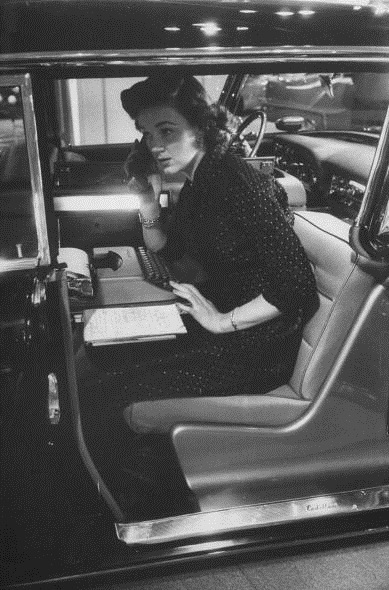 The Presidency, a luxury Simca car equipped with a telephone, television, radio and an Olivetti Lettera 22 portable typewriter, Paris 1958. 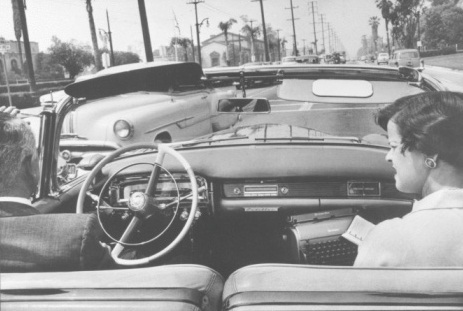 Corona Skyriter portable typewriter in a Cadillac at the National Automobile Show at the LA Coliseum. Actor Clark Gable at a Royal portable typewriter, 1960. 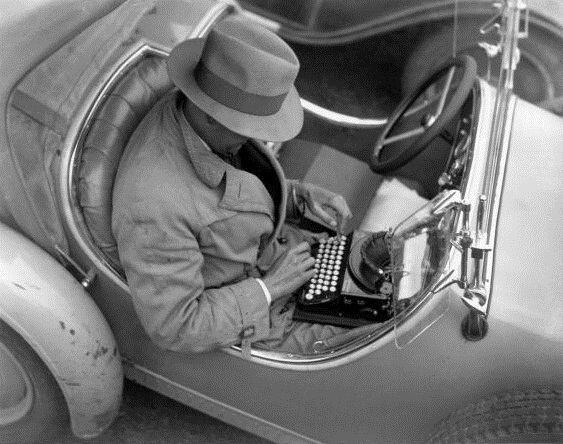 French sports journalist uses a Remington Model 2 portable typewriter in a BMW convertible, Paris, 1934. 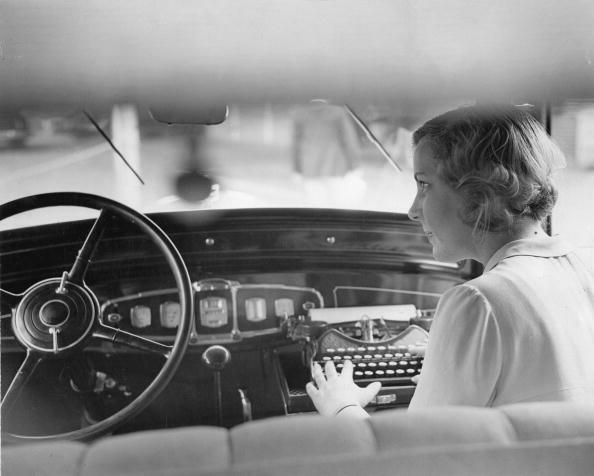 Underwood 5 typewriter, British Pathé newsreel, 1936. Above and below, Olivetti DL portable typewriter, Jensen Interceptor car at Harrods show, London, 1969. 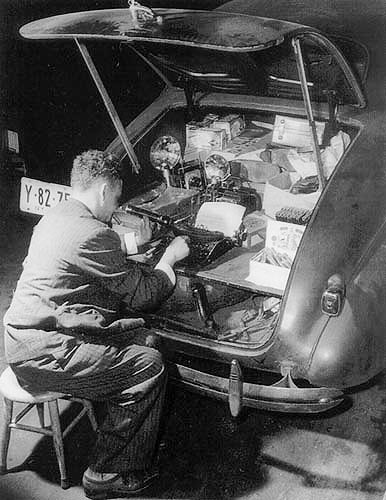 Hungarian-born photographer 'Weegee' (Arthur Fellig, 1899-1968) on an Underwood Noiseless portable typewriter in the trunk of his Chevrolet, 1942. 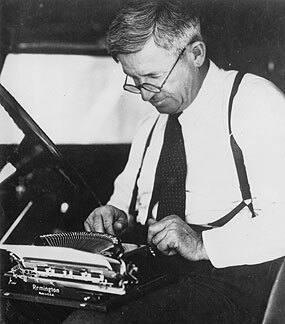 Will Rogers with Remington Model 2 portable typewriter. 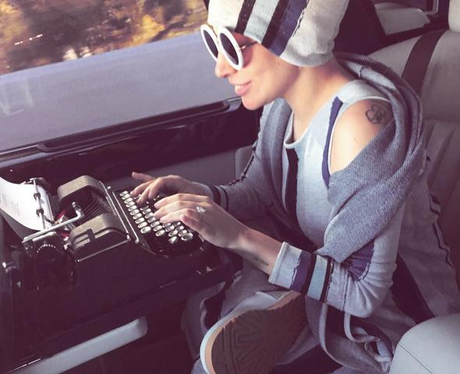 Lady Gaga with Underwood Universal portable typewriter.